Now that my daughters are older and don't require babysitters, the Hubs and I are able to get out more often and more impulsively. We no longer need to plan date nights and are free to jump out for a quick bite or a cocktail when the mood strikes. 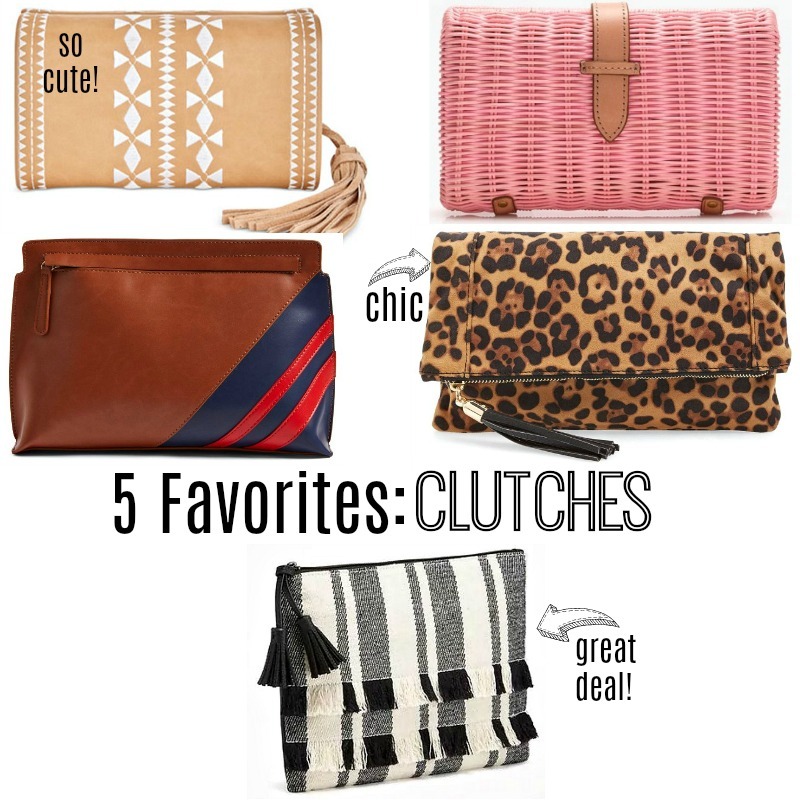 A printed clutch is the perfect accessory when you are wearing a monochromatic outfit. 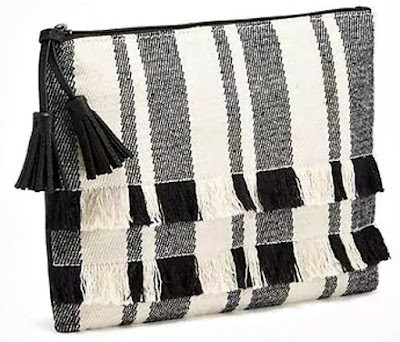 I love pairing this clutch with head-to-toe black. It looks so chic and makes the clutch stand out that much more. 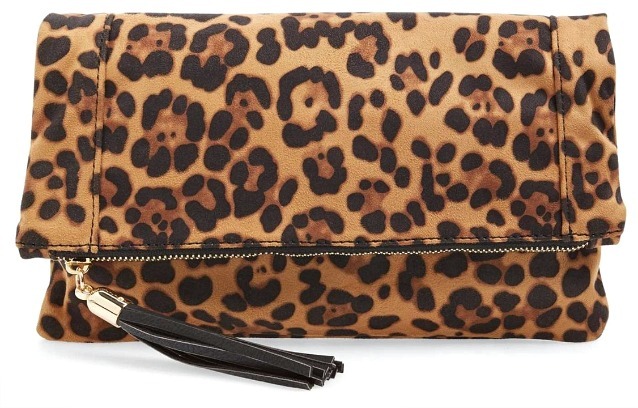 I purchased this clutch during the Nordstrom Anniversary Sale for less than $23. Now that the sale is over, the clutch is back up to $35, but that's still a good deal. I love pairing this with my preppy outfits. 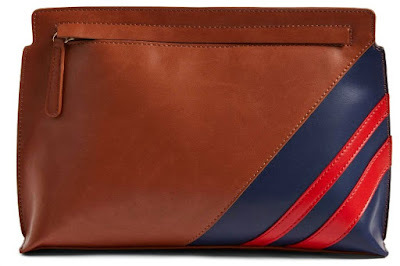 It goes great with an outfit that has any navy in it. And it's super roomy. I was able to fit my wallet inside in addition to my car keys, phone, lipstick, and sunglasses. 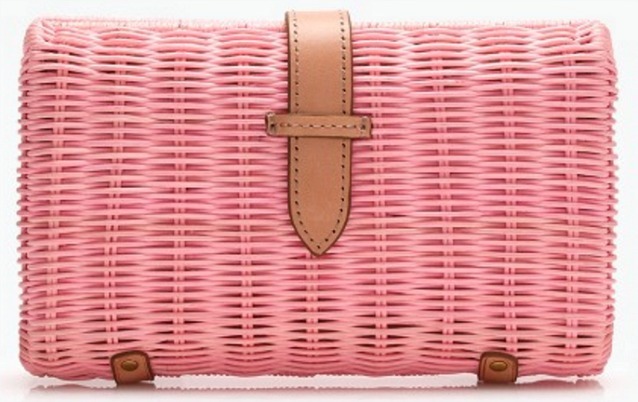 A quintessential summer clutch is a must, and this one is it! 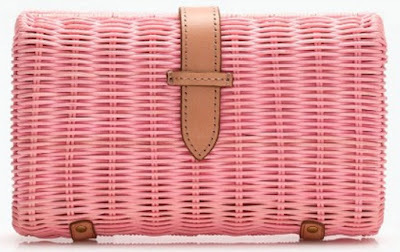 How cute is this pink straw clutch? It puts to final touch on any outfit. 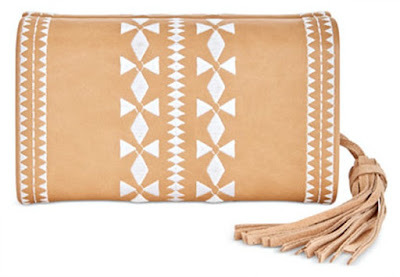 I love that this clutch combines boho-chic with a clean, streamlines design for a polished look. 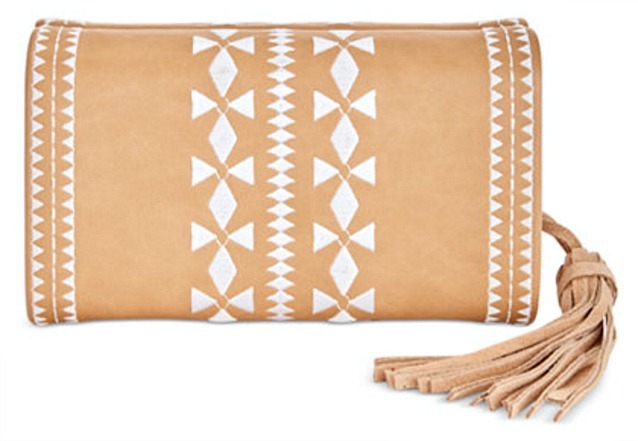 This clutch would pair just as nicely with a white peasant dress as it would with a pair of jeans and a tee. I love both the stripes and the fringe on this tote. It's a fun accessory when you're not in the mood for anything too serious. Available in a cute matching tote also.